Mid summer fireworks are always fun. Typically in Jersey each Wednesday down in Seaside they light them up for the masses. However last week the sparks provided by New Jersey Devils superstar Ilya Kovalchuk were not the type many Devils fans were hoping for. 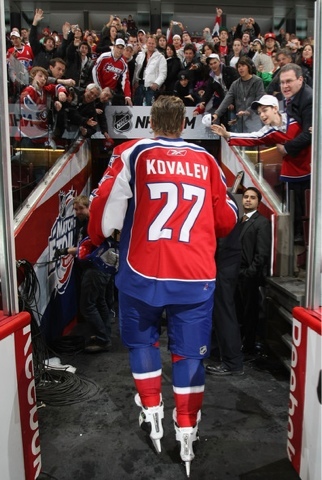 A stunning decision by the 30 year old winger to retire from the NHL and return to his homeland sent shock waves through the hockey world (and the state) last week as he announced he would be returning to Russia to be closer to his family and play for the KHL'S SKA St. Petersberg. 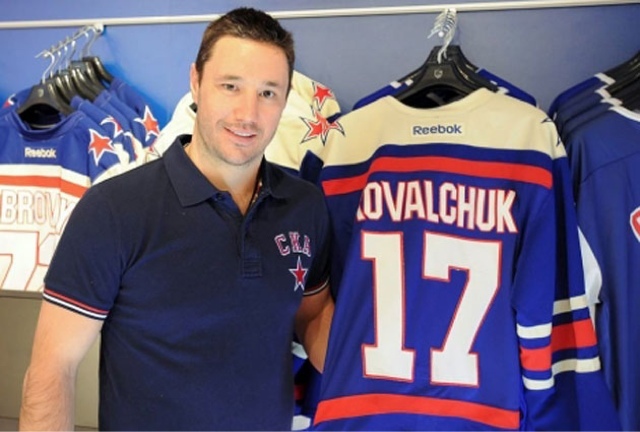 Many incensed fans took to various social media outlets to vent their outrage and frustration on the loss of yet another star player from their roster, some even posting pictures of Kovalchuk jerseys burned in effigy. The timing of this nefarious transaction could not have come at a worse time seeing as the franchise lost power forward David Clarkson to free agency a week prior when he signed a 7 year deal with the Toronto Maple Leafs. It also comes in the wake of the franchise losing its previous captain and American hero Zach Parise to a $98 Million deal with Minnesota last year, 2 years after the Devils committed $100 Million and 15 years to Kovalchuk. New Jersey received a penalty the Russian sniper's contract which was deemed to be in circumvention of the former CBA in the form of forfeiture of a first round draft choice in either the 2011, 2012, 2013 or 2014 entry draft. With the club choosing to defer the penalty each year, his is now are left without the world class goal-getter as well as devoid of a top round selection in next summer's grab bag of amateur talent. While Devils President and General Manager Lou Lamorillo has been graced with a bounty of cap space upon the departure of Kovalchuk, it will be tough to fill the void left by the prolific winger. Depending on the questionable financial stability of team owner Jeff VanderBeek, the Devils can be expected to be major players in free agency in the coming years. One way or the other, Alex Ovechkin was going to represent his native country in the upcoming Winter Olympics. The 2013 Hart Trophy winner had been unabashed in his desire to participate in the games which are being held in his mother land of Russia (Sochi, to be exact) this February, and he has long stated that his NHL brethren must do good to follow him there. While he has had the support of his owner Ted Leonsis for some time to do as he pleased, many were unsure if it was worthwhile for the NHL to shut down for three weeks in the middle of its regular season schedule to send its best players across the globe to compete at a high level for a coveted Gold Medal. While the league and the game benefited mightily from the contest in 2002 and 2010 when they were held in North America (Salt Lake City and Vancouver respectively), its involvement in the fabled games were not so warmly received by audiences on this continent when they were held in Nagano Japan (1998) and Turin Italy (2006). Speculation on the league's involvement were put to rest late last week with the release of the 2013-'14 schedule. While it may have been apparent for some time now that the NHL's best would be making a mid season trip to the other side of the planet, what with the appointment of some league executives and coaches to lead positions within USA hockey and the like as well as the multi-million dollar deal the IOC shares with NBC Sports, there still remained some hesitation as reports of ongoing talks between Gary Bettman and IIHF President Rene Fassel had yet to be resolved. The two sides came to an agreement which was announced along with the NHL schedule, as well as the Olympic schedule which can be found here. 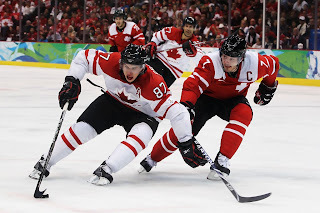 Looking past this season however, the question still hovers large over the Olympics with regard to NHL participation. The 2018 games are slated to take place in Peyongchang, South Korea. NHL Deputy Commissioner Bill Daly was quoted on the topic as stating “It’s our joint intention (NHL and NHLPA) to assess the experience in Sochi before even considering whether to continue with Olympic participation going forward.” It seems doubtful that the league would be so keen as to press pause on another regular season campaign to send its athletes to yet another far off land for little return on their end. To appease the desire to don native sweaters in meaningful contests, the resurrection of the World Cup could come to fruition as a preseason tournament. The last of its kind was held in September of 2004 right before the season long 2004-'05 lockout, and many may recall the epic 1996 World Cup which saw USA capture gold in a thrilling final against the neighbors from the north. Such a tournament would be far easier to regulate and control for the NHL and NHLPA alike, as it would be held in NHL barns and draw direct revenue into the pockets of players and owners alike. The 2002 and 2010 Olympics were some of the most thrilling games we've seen, mostly because we were able to see them. If you're the type of fan that loves seeing the best in the world compete for the gold, silver and bronze, and you happen to be nocturnal, this winter could be your last chance to experience that. 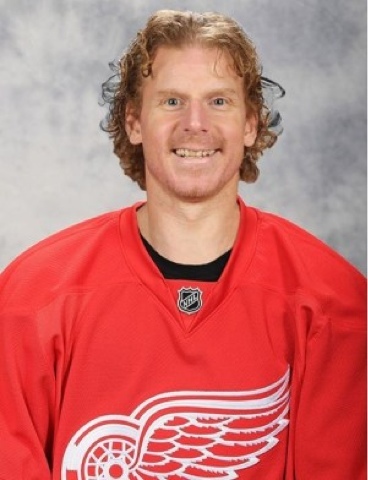 Daniel Alfredsson is synonymous with the red sweater of the Ottawa Senators. The seventeen year NHL veteran was the unquestioned leader both on the ice and in the community for all those years in the Canadian Capital, but after nearly two decades north of the border, the former Senator captain will don a new red sweater: that of the Detroit Red Wings. The Swedish star sent shockwaves through the hockey world early Friday when free agency opened by electing not to re-up with the Senators and inking a one year deal with Detroit. After playing many seasons being paid under his market value, Alfredsson's charge against the Detroit salary cap will be $5.5M (his salary is now $3.5M, however with $2M in bonuses available tied into his deal those as well count to the cap hot under the newly minted CBA). Alfredsson joins a squad that is now a divisional rival of his former long time club under re-alignment, as well as one primed to make a run at a division crown. Detroit nearly pushed the eventual Stanley Cup Champion Chicago Blackhawks to the brink in their second round conference semi final matchup this past spring, and with the addition of Alfredsson the core group that consists of superstars Henrik Zetterberg and Pavel Datsyuk and solid goaltending from Jimmy Howard boasts championship aspirations of their own. Asked why he chose not to stay with his longtime club: "It pretty much came down to a selfish decision in terms of I have not won a Stanley Cup, a big priority for me...I feel that in Ottawa they are getting closer and closer and they have a really bright future in front of them, but at this point in my career there's not much left, I don't have the time to wait for that." This year's Entry Draft came and went devoid of a slew of major blockbuster deals, but the hosting club New Jersey Devils made a couple of transactions that prompted roars from the home crowd. 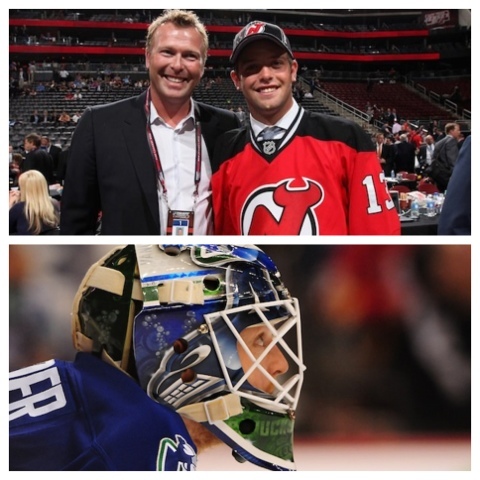 The biggest headline from proceedings in Newark was the dealing of the 9th overall pick by Devils general manager Lou Lamorillo in exchange for Vancouver net minder Cory Schneider. The 27 year old Boston College product had been casted as one of the main characters in perhaps the NHL's most interesting drama playing as the burgeoning backup behind big-contracted Roberto Luongo. Much speculation for the better part of the past year centered around the possible trade of Luongo, or moreover his largely unmanageable cap hit, but the saga took an unexpected twist with the unloading of the on again off again young starter to New Jersey. Vancouver would use the pick to select London Knights center Bo Hovart. Schneider would appear to be the heir apparent to the throne of the Devils crease which of course has been minded by the now 41 year old Martin Brodeur, who is entering into the final year of his deal, and perhaps the swan song of his majestic career. However every royal leader has a presumptive heir in his or hers lineage and in this case there is the eldest son of Martin, Anthony, who was chosen by the Devils with the 208th pick in the 7th round on Sunday. The Shattuck Saint Mary's product is already committed to the Gatineau Olympiques of the QMJHL for the upcoming season, but could very well be the replacement to Schneider down the line. Anthony's selection itself was made by his father, which again prompted cheers from the New Jersey crowd and was perhaps the most seminal moment of the day. 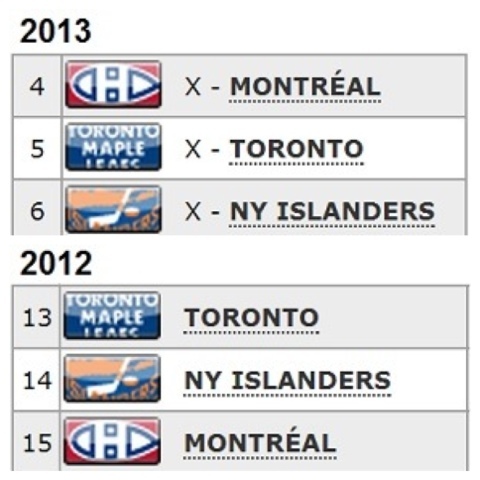 A lockout shortened season was sure to be inherently different. Despite some of the familiar contestants locked into the top 16 seeds of the annual tournament for Lord Stanley's coveted prize, fans in cities who have become accustomed to stress-free springs spent on the links now get to join in the wonderful agony of NHL playoff hockey. Perhaps there simply were not enough regular season contests that a regular 82 game season provides post lockout which would have allowed for familiar mid-to-late season collapses (looking at you, New York Islanders), or maybe some teams actually have made strides toward advancement. 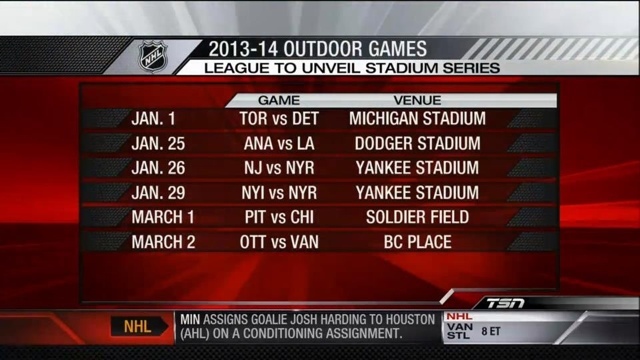 We'll sure find out in the 2013-'14 edition of the NHL marathon but for now we focus on who is in and who is out. Eastern mainstays and recent Stanley Cup Finalists Philadelphia and New Jersey are on the outside looking in. It is the first time in history that both teams fail to qualify for the postseason in the same year. For the Devils it is the second time in their history they fall short of the top 8 in a season following a finals appearance (1995-'96 being the last). Both teams succumbed to debilitating injuries at key positions and lost out on top players. Former Devs captain Zach Parise went home for big money in Minnesota and failed to re-coup his production. The Flyers lost out after signing Nashville d-man to an offer sheet in July only to see the Predators match. The Islanders are in for the first time since 2007 and look poised to make serious noise (sometimes you gotta rhyme). Johnny Tavares is a legitimate Hart Trophy candidate, Gino Nabokov has played younger than his birth certificate indicates in goal, and the roundabout talent on that squad has not wilted rather relished the pressure through the month of April. For a team that is familiar with the standings cellar, finishing second to last in 2012, it has been quite the turnaround. Montreal added some grit and character in the form of Brandon Prust over the summer while subtracting the albatross both in the lineup and within the salary cap that is Scott Gomez. Early holdout P.K. Subban has emerged as a perennial Norris Trophy favorite, and Carey Price had certainly elevated his game especially early on. The canadiens finished dead last in the east last season and will open the playoffs with home ice advantage next week. The much maligned Toronto Maple Leafs, whom own the league's longest drought between sips from Stanley's mug (1967) will play for the prize for the first time since 2004. A season filled with swirling rumors regarding the potential acquisition of Vancouver's Roberto Luongo to solidify their goaltending, the firing of general manager Brian Burke who adamantly wished not to make said deal did not bring down a Toronto squad that has remained in the middle of the top 8 in the east. Positive developments such as the ascension of top prospect Nazem Kadri and the production from top players James van Reimsdyk and Phil Kessel up front kept the, afloat as opposed to their yearly collapse. Final seedlings are yet to be set in ink as we enter the regular season's final weekend, but it is clear this edition of the tournament will taste a little different than it has in the recent past. If you're the outdoors-y type and happen to be an NHL fan, the 2013-'14 campaign should be shall we say, a tad memorable. 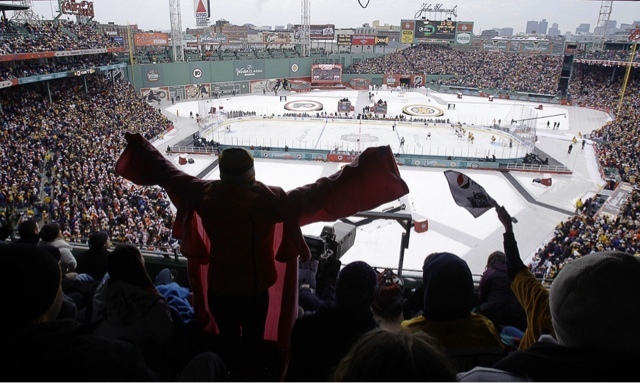 News broke Tuesday on something we touched on earlier here, that being the advent of next season's stadium series of games to be held in the elements at some of the nation's most iconic sporting monuments. FINALLY the NHL will stage regular season contests on baseball's holy ground in the Bronx, as it has yearned to do so since the initial inception of the famed money boat we know as the annual Winter Classic. That, as we know, will be held at Michigan University's Big House to kick off the outdoor festivities on NewYear's day between the Toronto Maple Leafs and the host Detroit Red Wings as the league goes for an attendance record in the six figures. The New York Rangers will host not one but two match ups in a 4 day span next January, taking on the local rivals Islanders and New Jersey Devils in the house that Ruth built. The LA Kings will take on next door neighbor Anaheim Ducks at Dodger Stadium in perhaps the NHL's warmest regular season contest in its long history. The Heritage Classic will make its return for the first time since the February 20th 2011event in Calgary. The 2014 incarnation will see the Vancouver Canucks call the BC Place their home as they take on the Ottawa Senators in what has the potential to be a very stripe filled event based on the two cities' uniform history. Whether you are for or against this vast expansion of the outdoor series of games, one thing is for certain: they will be stunning displays of our great game and will dramatically increase the value of the NHL product. An industry which was valued at approximately $3.3 billion will no doubt surpass such large economic quantities as more revenue steams will be generated in the periphery of these events. As we stated in our previous article on this topic: if you build it they will come. They will come with fists full of cash and hand them over with ease. Live, real, actual NHL games took place (finally!) this past weekend and while sloppy play reigned supreme by some clubs, the games were not devoid of spectacular plays. Detroit rookie Damien Brunner made his teammate Pavel Datsuyk proud with a spectacular game winning shootout goal yesterday against Columbus goaltender Sergei Bobrovski, who probably wishes he is an inch taller right about now. Henrik Lundqvist snatched away David Krejci's hopes and dreams in a 3-1 loss to Boston in the season opener on Saturday in Boston with an incredible grab which might normally see him facing jail time for robbery. One of the major hurdles coming out of the last CBA that owners looked to rectify was long term, back diving player contracts which effectively circumvented and in some ways cheated the supposed design of that agreement (see: Ilya Kovalchuk, Roberto Luongo, Rick DePietro, and Marian Hossa's contracts). Deputy Commissioner Bill Daly stated in a December press conference following a week's worth of what then was promising negotiations turned sour that term limits would be "the hill we will die on." 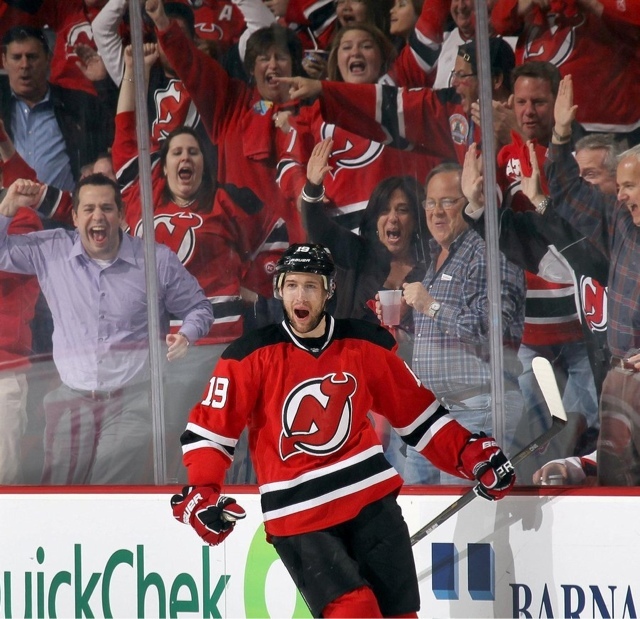 Today Travis Zajac became the first beneficiary of a max deal allowable under the new agreement as New Jersey Devils general manager Lou Lamoriello announced that the club had signed the forward to an 8 year deal which will pay him $46 million. The 8 year term is the longest allowable being that the team re-signed it's own player. That number may seem a bit steep for a player who has never tallied more than 25 goals or has yet to reach even the 70 point mark ( the 2009-'10 campaign saw him reach career highs with 25 goals and 67 points), but the club seems to want to invest in his potential and keep him as a core member for the foreseeable future. Former Devils captain and fellow country man Zach Parise departed for big money and the chance to play in his home state when he signed with Minnesota for big money prior to the lockout this past summer. His cap hit for each of those seasons is $5.75 million. St. Louis Blues draftpick Jori Lehtera beats goaltender Ratislav Staňa with this rediculous goal in this weekend's KHL All Star Game. Words don't do it justice, just watch. Christmas came for the second time in just a few weeks for fans as NHL Comissioner Gary Bettman announced bright and early on the morning of Sunday January 6th that the NHL and NHLPA had reached a tentative deal on a new Collective Bargaining Agreement, which was ratified by the players via electronic vote this past Saturday. While the official documents will take some time to be drawn up by league lawyers, both sides signed a binding Memorandum of Understanding this weekend which allowed the league to officially lift the lockout which lasted 119 days. Truncated training camps opened early sunday morning with little time to prepare for the 48 game shortened sprint of a season which is set to open this saturday the 19th. All thirty teams will be in action on opening day. Full schedule can be found here. For USA hockey fans and players alike, if you couldn't stay up to catch the 4 AM eastern start time, there could be no better way to wake up this morning. The United States arose victorious over the rivals from the north in the semifinal game of this year's World Junior Championships by the score of 5-1. Canada came out flat and the U.S. ran all over them early and often. Jake McCabe opened the scoring at 7:18 on a quick shot through a screen of disorganized Canadian defenders and buzzing American attackers. McCabe would add a second, again through a screen not long after with 3:58 remaining in the opening frame. Continuing the American surge just 3 minutes into period 2, John Guadreau would net a 3rd tally for the boys in blue with a quick shot on a 2 on 1 break. A fourth goal from Jim Vesey would chase Canadian netminder Malcom Subban from the cage with just over 7 minutes remaining in the middle frame in favor of backup Jordan Binnington. Subban had faced just 16 shots. Confusion surrounded the only Canadian tally of the tilt, as a whistle was blown on a loose puck off a rebound which was put in by Ty Rattie early in the 3rd. The mark was allowed to stand, but it would be the only to get behind American goaltender John Gibson, who stood on his head throughout facing 34 shots. 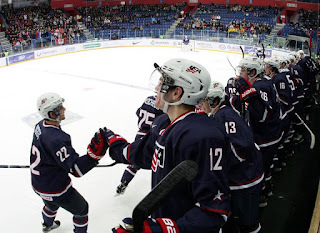 USA put it away later on another goal by Guadreau. Coach Phil Housley remarked post game, "we got the start we wanted scoring the all important first goal, we wanted to dictate the pace of the game early and we were able to do that and then it carried into the second period. We're going to enjoy this win tonight and then start thinking about the gold medal game tomorrow." USA will play for World Junior gold in Ufa, Russia against Sweden this Saturday 8am Eastern time.